Commercial HVAC Wesley Chapel FL | Balanced Air, Inc. Residential buildings tend to get a lot of the focus for HVAC services, but commercial buildings need them just as much. No one wants to work in a building without a working air conditioning system during a Floridian summer. Protecting your commercial property’s HVAC systems means finding a professional contractor you trust to handle them. That’s why we’re here. Balanced Air, Inc. offers commercial heating and cooling services of all kinds in Wesley Chapel, FL. If you need a commercial HVAC system installed, replaced, or serviced, we’ve got your back. Contact us today to schedule an appointment for commercial HVAC services and experience the Balanced Air difference. In a pinch, there might a number of different ways to cool off at home during the summer if you don’t have an air conditioner. Most commercial businesses probably wouldn’t look kindly on you disrobing or taking cold showers while in the building, though. Trust us with all of your commercial cooling needs, and you’ll never have to worry about being stuck without air conditioning for an extended period of time. We install and service all kinds of commercial air conditioning systems, including rooftop units. Let us find the perfect commercial air conditioning solution for your Wesley Chapel, FL business. Most commercial buildings would never be described as "cozy," which is perfectly fine most of the year. When the weather starts to cool, though, most people want at least a little bit of heat to keep things in their office or store comfortable. If you’re looking for commercial heating services of any kind, you’re in luck. Our professional technicians have many years of experience in providing the best commercial heating services throughout Wesley Chapel, FL. We can find the best possible commercial heating system for your needs, install it, and keep it running for many years to come. Let us help keep your building warm and comfortable this winter season with our commercial HVAC services in Wesley Chapel, FL. Most modern commercial buildings are designed to be as airtight as possible. This is to make it easier for the climate control systems inside to maintain a stable temperature without expending a lot of energy. While this does make sense, it eliminates a lot of fresh air from flowing into the buildings. Low air flow from outside tends to mean low air quality inside. That’s one of the reasons that Balanced Air, Inc. provides a myriad of different commercial indoor air quality services. If you suspect that your commercial building has low indoor air quality, don’t just ignore it! 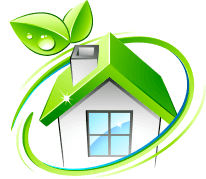 Contact one of our professionals, and we’ll get started on restoring your indoor air quality to its proper level. No matter what your commercial HVAC needs are, our expert technicians will be able to find the perfect solution for you. If you need a commercial air conditioning, heating, or indoor air quality system installed or serviced, all you need to do is reach out. Contact us today.